Easily utilize the Penetrator S800, S1400, S1800, S2200 and Virtual Appliance in your Visio® diagrams. Optimize your Network IT Security diagram. 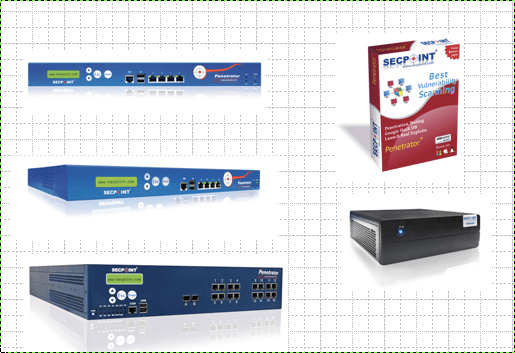 Design a network diagram with correct placement of the Penetrator Vulnerability Scanner. It is highly recommended to perform at least Monthly or even weekly scans to make sure you catch the latest IT Security Vulnerabilities without being compromised. You can scan both local and public IP addresses. You can perform all the scans you want and change the IP addresses with the automatic queue system. If you need help to setup your network diagram and design it correct please contact our support team. They can assist to design the correct diagram and even login remote with teamviewer to confirm it is correct setup. Click to download .zip file here.